The following web site directory list includes a good sample of reputable, general-interest directories, with our proprietary ratings and links to Moz Open Site Explorer pages. Although the web directory population has been fairly stable during the last decade, a small percentage of directories cease to exist each year and new directories are created from time to time. Furthermore, directory structures, reputations, and fee structures can change over time. So this list of web site directories is provided for your information only, without an implied warranty for any particular purpose. Some directories require a one-off submission fee to cover the costs of editorial review and processing, while others require a yearly subscription fee. Directories with one-off fee structures may be more cost-effective initially, but they are more likely to accumulate dead links and irrelevant content than those that require a yearly fee for inclusion. 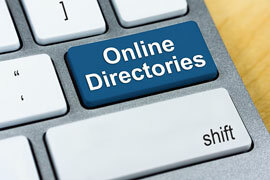 Directory ratings are based on a proprietary calculation involving historic Google Page Rank values, recent Moz.com domain authority and spam score values, and editorial review fee structure. Some of these web site directories offer a free submission option, but many directories ignore free submissions or review them only after an extended waiting period.